¾” - 1 ½” Thick Natural Stone Veener, light grey and buffs with a split-face, sawn bed finish. 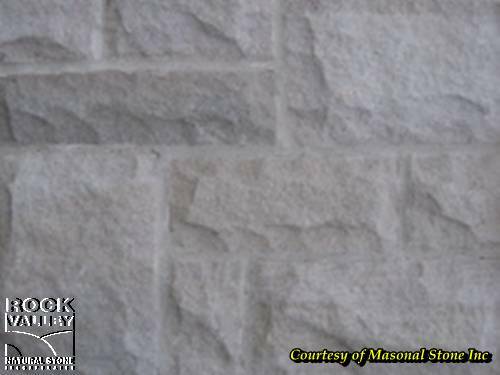 Ideal for facing houses, buildings, fireplaces and accent walls. 12 ½ lbs / sq.ft.